BROWNSVILLE, Texas (Reuters) – The rose-coloured border security fence starts in a dusty field on the Loop family farm in South Texas – about 15 miles inland from the Gulf of Mexico and a mile north of the southern U.S. border. From there, near Brownsville, it stretches about 60 miles west, but with plenty of gaps to drive or walk through. Where it exists, the fence doesn’t always stop illegal immigrants. “It takes them about a minute and a half to climb the wall,” said farmer Ray Loop, noting the muddy footprints on several sections of the fence crossing his property. The porous South Texas border fence, authorized in 2006, underscores how topography, treaty obligations, legal fights and high costs could frustrate efforts to stretch an “impenetrable” wall over the 2,000-mile border – the signature campaign promise of U.S. President-elect Donald Trump. 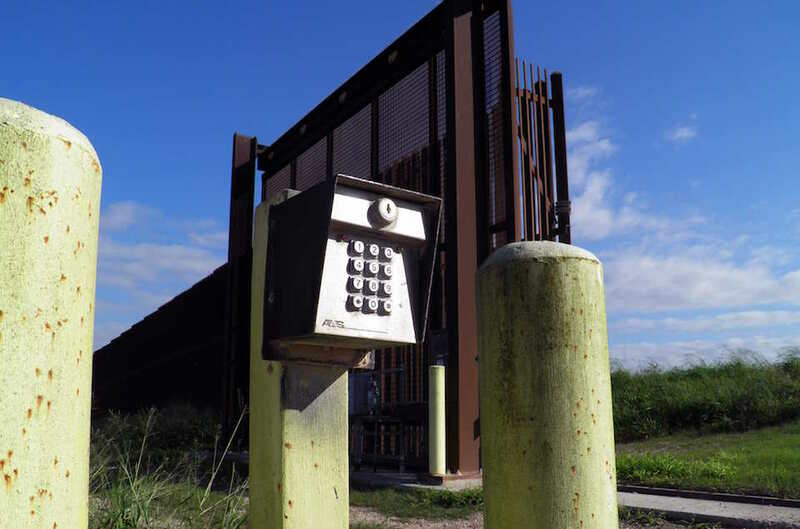 The South Texas barrier is “more holes than it is fence,” said Denise Gilman, a law professor and director of the Immigration Clinic at the University of Texas at Austin. The gaps reflect local political opposition, land rights battles and strategic decisions about where a fence would be most cost-effective, according to internal U.S. government emails obtained by Gilman through a court order and viewed by Reuters. Trump transition team spokesman Jason Miller declined to comment on the challenges of border wall construction, saying the president-elect would have “plenty of time to discuss policy specifics” after he takes office in January. In an interview with CBS’ “60 minutes” last month, Trump said for the first time that he would accept fencing in some areas of the border. Loop, 51, is a Trump supporter who supports stricter immigration controls, but he has little faith in fences or walls. The Rio Grande Valley in South Texas has become a focal point for immigration enforcement because it has been a main artery for crossing. U.S. Customs and Border Protection said in a statement that fencing is part of an integrated strategy that includes agents on the ground, motion sensors, cameras and airborne monitoring. The Washington-based Center for Immigration Studies, which supports strong border security, said Trump should look beyond his proposed wall for a comprehensive policy. “Fencing can be very effective in making life difficult for those attempting to clandestinely cross our southern border, but it is not a one-stop measure,” said Jon Feere, legal policy analyst for the centre. The Secure Fence Act of 2006, signed by Republican President George W. Bush, underestimated the cost of building a planned 670 miles of fencing at various places between California and Texas. By the time Democratic President Barack Obama declared construction essentially complete in 2011, the allocated $2.4 billion had paid for fencing over only about half that distance, according to a U.S. Government Accounting Office report. Obama voted for the border fence construction when he was a U.S. Senator, as did Democratic presidential nominee Hillary Clinton. 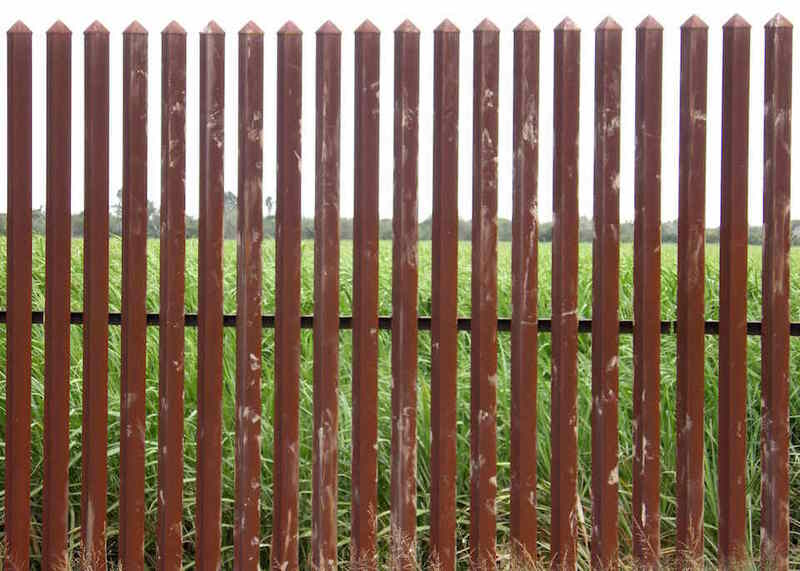 In South Texas, original plans for two layers of reinforced fencing over about 200 miles between Laredo and Brownsville were scaled down to a gap-toothed, single-layer barrier of about a third that length. Border terrain caused a host of land rights issues that added cost and time to the construction. About 1,200 miles of the U.S.-Mexico border are in Texas, along the meandering Rio Grande river, which makes it impossible to build a border wall on the actual border. The International Boundary and Water Commission, set up between the two countries in 1889, prevents any disruption to the flow of the Rio Grande, effectively requiring any wall to be built on levees in flood plains. That pushed the South Texas fence up to two miles north into U.S. territory – putting property on the Mexico-facing side of in into a kind of no man’s land, and requiring the government to compensate owners for lost land value. Loop’s home, and almost all of his farm, are in U.S. territory but on the Mexico-facing side of the fence. He settled the U.S. government’s eminent domain case on terms that were not disclosed. Another eminent domain case filed by the U.S. government stretched out for seven years and 140 court filings, as Eloisa Tamez fought attempts to put a few acres of family land – awarded in a grant from the King of Spain in 1767 – on the Mexico-facing side of the wall. The government settled for an undisclosed sum and agreed to construct several access points in the fence on the property. Another telling example of economic loss: The Fort Brown Memorial Golf Course in Brownsville, also behind the wall, closed in 2015 after losing business from customers who mistakenly believed they had to leave the U.S. to play a round. Trump would have little trouble obtaining land through eminent domain to build a wall for national security purposes, legal experts said. But land owners may now have stronger claims for higher compensation because previous rounds of construction have established concrete examples of lost property value. Some property rights and compensation cases filed in the Bush years now may carry over into Trump’s term, legal experts said. Trump’s wall, if constructed, could bring a flood of new court challenges, they said. “The court disputes are going to delay any building for months and years,” said Efren Olivares, regional legal director with the South Texas office of the nonprofit Texas Civil Rights Project, which has represented landowners in border fence disputes. Local political and economic concerns also pose obstacles. One of the large gaps in the fence is just west of Brownsville, near an affluent area where residents successfully fought off construction. The government avoided areas with higher land values, according to the internal emails from U.S. Customs and Border Protection. “They will not build any fence in any area (urban) where real estate costs are too high,” wrote Jeffrey Self, a Customs and Border Protection divisional bureau chief, in a situational report in March 2007. Across the southwest border, apprehensions have shot up in recent months as Trump made border security a central issue in the campaign. In the year through September, U.S. authorities have apprehended 408,870 immigrants trying to cross, a jump of 23 percent from a year ago, according to Customs and Border Protection data. 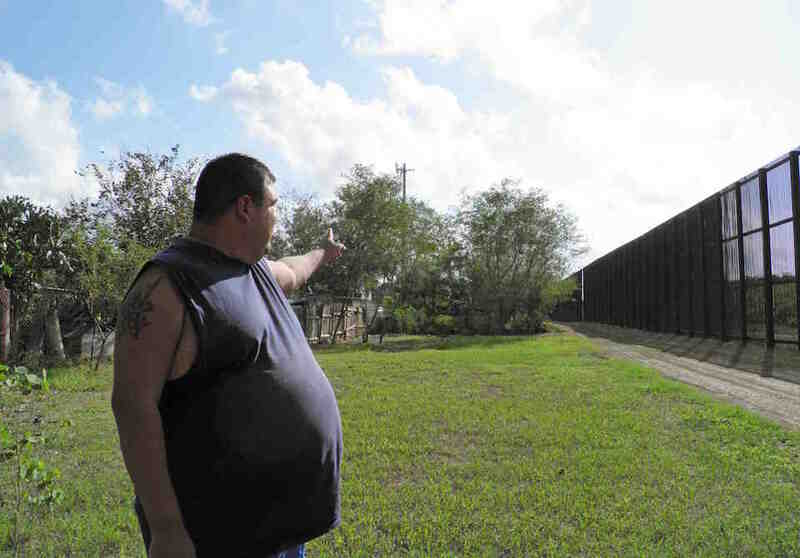 In McCallen, about 55 miles west of Brownsville, Mayor Jim Darling said human traffickers are drumming up business by telling people to cross before the Trump wall goes up. “Now we have a bigger immigration problem,” said Darling, who holds a nonpartisan office but endorsed Republican Texas Governor Greg Abbott in his 2014 campaign. 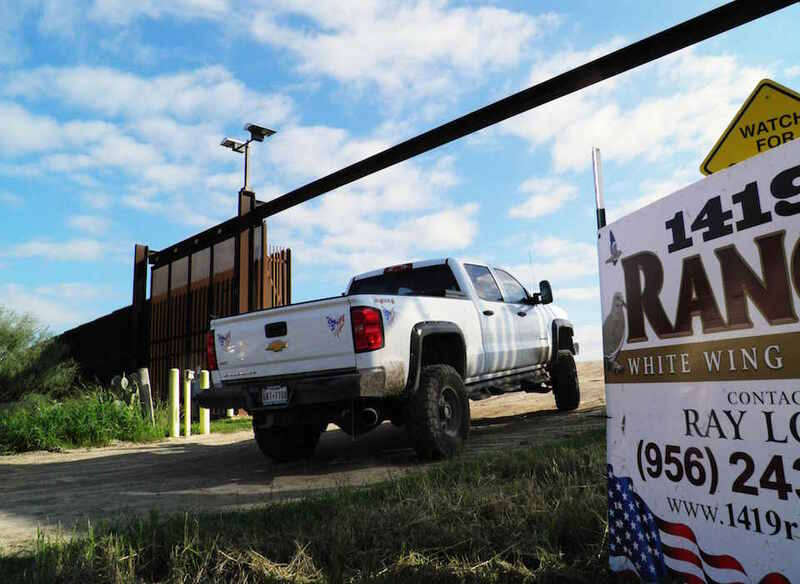 If the current fencing in south Texas is extended to the west, it would likely end up in Rio Grande City, where Mayor Joel Villarreal, a political independent, sees it as a waste of government money and a potential windfall for Mexican criminal cartels trafficking immigrants.